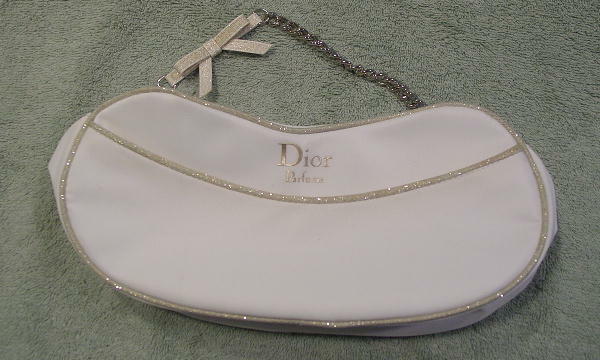 This never-used evening purse is by Dior Parfums. It has a synthetic white base with a cord trim in wheat with gold metallic thread. There is a white plasticized lining. It has a front angled open lined pocket and a top side to side zippered opening with a silver-tone zipper pull. 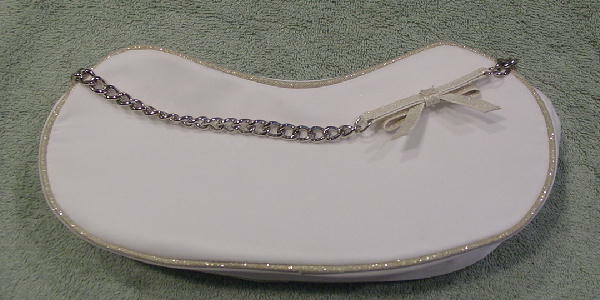 There is a 13 1/4" silver-tone large link chain strap (5" drop) with a fabric accent bow on it.